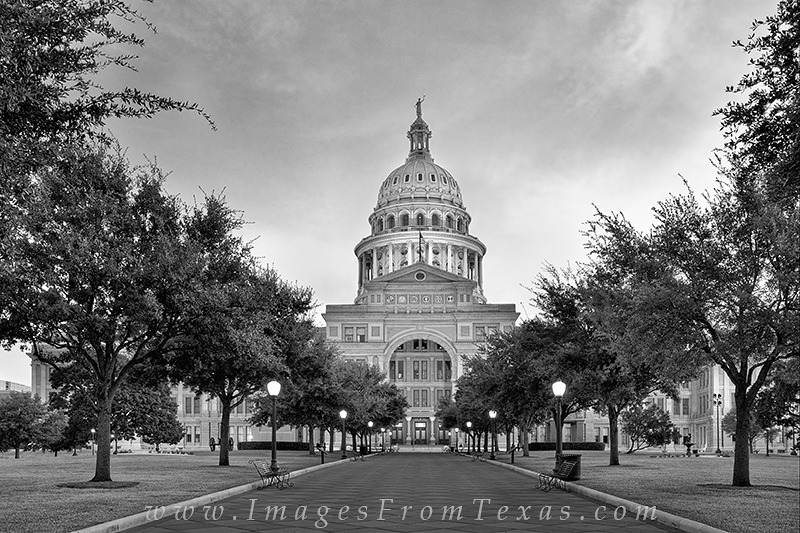 I love the diamond shapes in the walkway leading to the capitol building in Austin, Texas. When converted to black and white, the contrast really stands out. On mornings such as this when the grounds are not crowded, I can take my time and enjoy the serenity and symmetry (I like both) that this location offers. Photo © copyright by Rob Greebon.